Organizing is probably one of my least favorite things to do but it has to be done. Being surrounded by clutter actually stresses me out and gives me anxiety. I needed a way to get and stay organized once and for all. I love using dollar store organization hacks as a way to tackle the clutter on a budget but I needed to actually change my habits to keep my house from being a total mess. 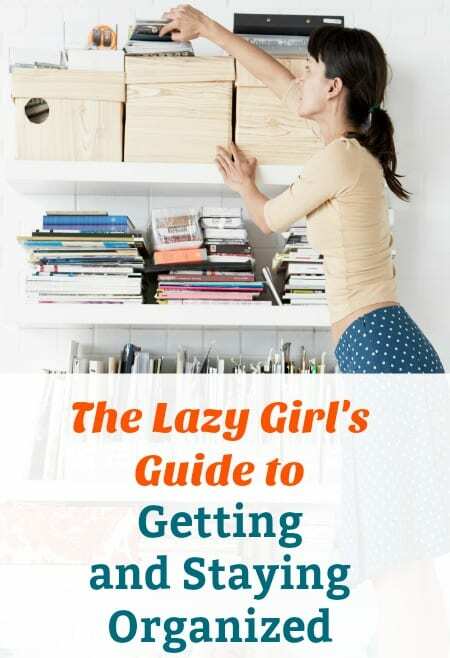 If you are more of a lazy person or just don’t have the time to do a whole house organization, I’m here to tell you that you can still have an organized home without spending hours on it at a time. 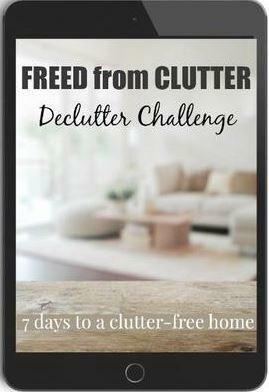 This is about getting your home organized so that you know where things are and what you have. How many times have you bought two of something because you forgot you already had one? I’ve done that more times then I care to admit. Forget about color coded binders and perfectly labeled bins, these tips are for people short on time that just want to declutter once and for all! This is an easy way to start taking notice of what you have in your home. Give everything a place and keep it there. If you have a lot of small appliances, give them a home in one of your kitchen cabinets. If you notice that you don’t have enough room, take stock of what you need and get rid of what you don’t use anymore. How many times have you actually used that cake pop maker? If you still don’t have enough room you can store them in extra cabinets or buy more storage but this should really be a time to get rid of things that are taking up space that can be donated or thrown away. When I think about organizing a room or closet, it can seem so overwhelming so I just don’t do it. By setting a time limit for myself everyday, it makes it more possible. I may just organize for 10 minutes or for an hour, it depends on how busy I am that day. By setting aside at least 10 minutes a day to organizing, the job will be done before you know it! I will usually start with the worst areas in the house which is usually my closets or garage. By doing these areas first, I feel like I have really accomplished something when I am done and the other areas don’t seem like such a challenge. Every night before you go to bed, do a last sweep of the main living areas. 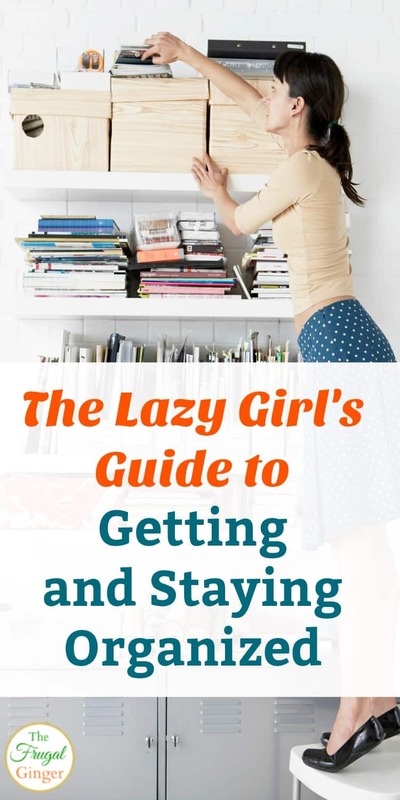 Put away any books on the side tables, throw away trash, put dishes in the sink, etc. Make sure things are put back to their proper place. This shouldn’t take more than 5 or 10 minutes. 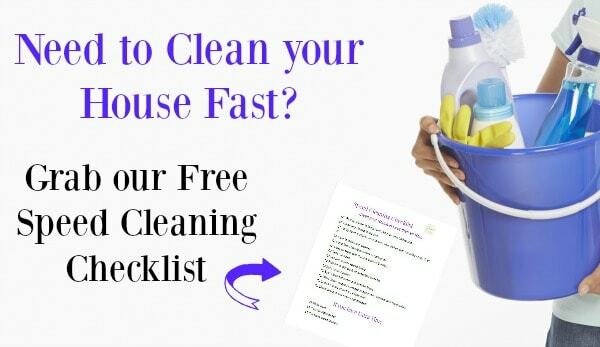 It can really help keep your home clean and tidy. I love waking up to a living room that looks orderly, it just sets a better mood for my day. I also do a sweep in my bathroom as I brush my teeth at night. If anything is out on the counter or there is trash laying around, it gets put away. I will usually do my nightly sweep after I put my daughter to bed and before I start watching TV. I know that by the time my show is over, I will be so tired and ready to jump in the bed. Just do what works for you. One of the biggest causes of clutter on my kitchen counters is paper! It never seems to end. Make it a habit everyday to go through the mail as soon as you get it. Shred documents or put them in the recycling as soon as you open them. Put away bills that need to be paid in a designated area. If you do this everyday, you won’t have piles of papers to deal with. If you can, it’s also a great idea to sign up for paperless bills and documents. Get everything sent to your inbox instead of to your mailbox. 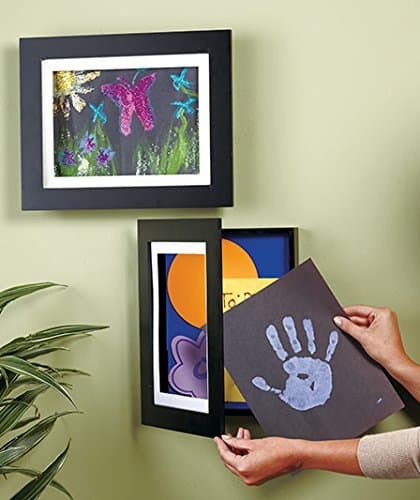 Another cause of paper clutter is your child’s artwork. I hate throwing away my daughter’s pictures and artwork but she brings home something new from school every single day. I like showcasing them in an easy change artwork frame. You can actually store the items you want to keep, like their hand print artwork without it being all over the counters. Doing these daily habits will really help you get and stay organized but sometimes you need to go through different areas more thoroughly. I like doing a major clean out twice a year for certain areas like my daughter’s room, bathroom cabinets, and the pantry. It’s a good idea to go through all of your child’s toys after a birthday and after Christmas. You will be surprised at how many things they have that they just aren’t using anymore. I like going through the pantry and refrigerator to get rid of anything that may have expired or just needs to be thrown away and do a deep cleaning of the entire area. If you have kids and/or a significant other, you shouldn’t be doing this all by yourself. Get the whole family involved on these new daily habits. When you do a nightly sweep, have everyone do it with you. Have the kids pick up their toys and do a sweep in their rooms. They can make sure clothes are in the hamper and school papers are in backpacks or put away. If I am spending 10 minutes a day organizing the bedroom closet, my husband will be organizing the office during that time. It makes things so much easier and happier when everyone is doing their part. I hope that by incorporating these daily habits, you can get and stay organized without stressing out over everything being perfect. Your home doesn’t have to look like it’s in a magazine, just clean enough to keep you happy and less stressed! These are good tips, but I have one little error to point out. “Bi-annual” actually means every two years. So, when I read that you were referring to “twice a year” events, it struck a nerve with me. The correct word is “semi-annual”, which is every six months. I’m the Grammar Police, so it is my duty to point these things out. 😉 I don’t mean to offend; I just thought you might like to know the correct usage for your writing. I was gonna say the same thing. Glad I wasn’t the only one to notice that error from the grammar police. Great article! I am definitely a lazy girl who gets overwhelmed by complicated organization methods. I think I can do these!